Ah, the sweet addiction of cell phones. If you have an iPhone, you can now check your daily screen activity… and let me tell you, it’s a little terrifying. According to eMarketer, U.S. adults spent an average of 3.5 hours on their mobile devices in 2018, and in 2019, it is predicted that mobile will surpass TV as the medium attracting the most minutes in the US. Although older generations such as baby boomers might still like their standard TV screens, mobile TV is getting more popular among younger generations, primarily because content is more accessible. With the adoption of mobile TV, the consumption of mobile data is also increasing. However, Nielsen estimated there are still 119.6 million “TV homes” in the U.S. (a 1.2 million uptick from the previous year), so don’t cancel your TV ad buys just yet. Instead, we encourage you to prepare for the new wave of mobile TV among younger audiences. Nielsen’s 2018 audience report shows that 18-34 year olds now spend more time on their phones than television, which means that we, as marketers, need to think about how to connect with younger audiences. Some companies are already taking note of the increasing activity on phone screens. For instance, Snapchat and Instagram both recently launched their own versions of mobile TV. Instagram launched its IGTV in June 2018, where you can watch vertical videos that are up to an hour long. 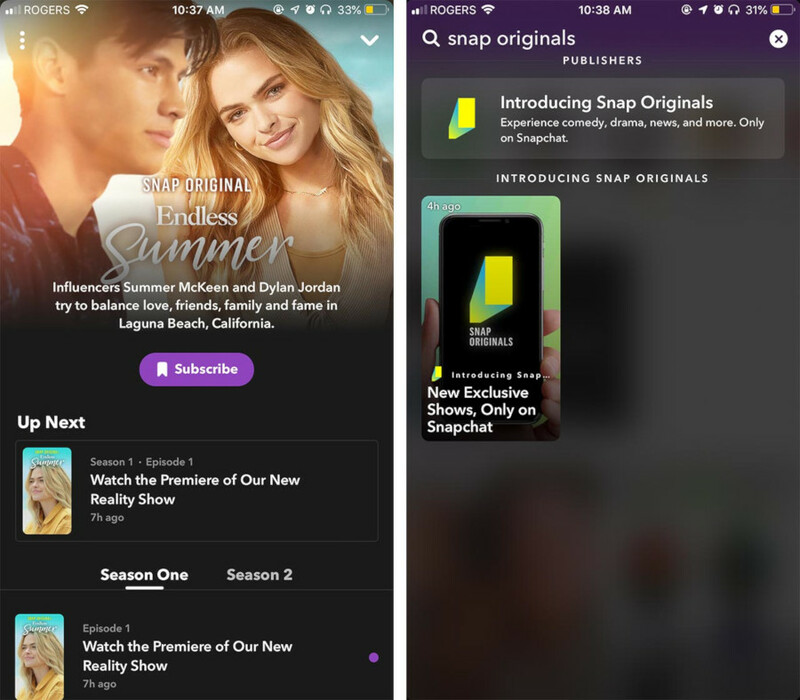 In response, Snapchat launched its Snap Originals in September with shows that you can view under the story/subscription page. According to Quartz, Snapchat hopes that being at the forefront of mobile TV will help regain users and popularity. Snapchat now has several shows of different genres, including news, lifestyle and reality, that drop episodes daily to keep app users returning. Music videos have also adapted to our mobile world. 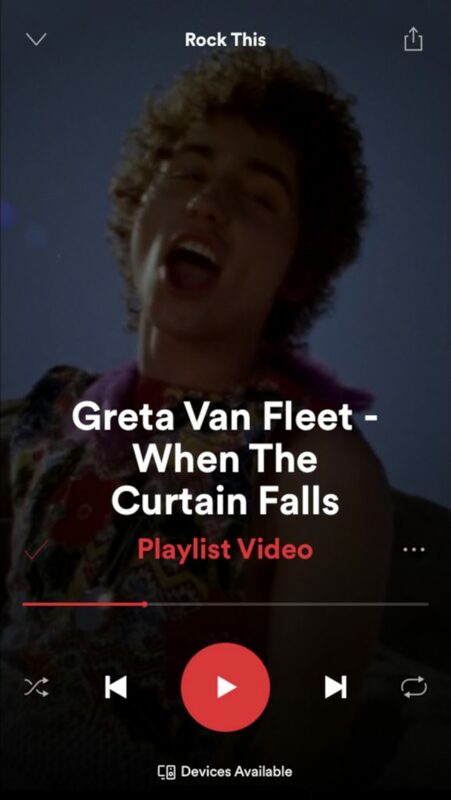 Spotify added video content to its app in 2016, so users can watch vertical music videos, documentaries and exclusive video series. If you’re a Spotify user, you may have noticed that when listening to music on the app, some songs will automatically play music videos that the artist has uploaded. One example of this is Greta Van Fleet’s “When The Curtain Falls” music video. Other artists like Camila Cabello, Halsey, Taylor Swift, Selena Gomez and more have vertical videos on Spotify and YouTube. 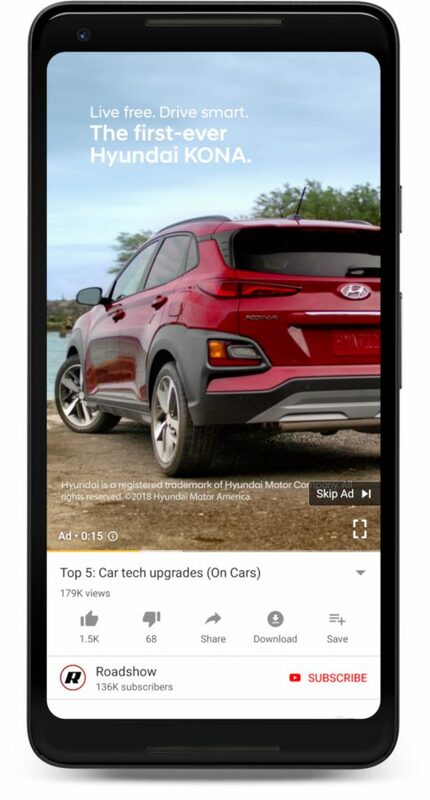 YouTube has been considered one of the last “major vertical video holdouts.” Since the beginning of YouTube, it has catered to the standard, horizontal screen viewing, but with smartphone activity increasing every year, YouTube is starting to adapt as well. In 2018, YouTube updated its app so when you play a vertical video, the widescreen sidebars that everyone complains about will be gone. This means that vertical videos will finally take up the whole screen of your cell phone and YouTube’s video player will automatically adjust to the size of the video you’re watching. We’re ready for the future of mobile… it doesn’t have to be scary! As more and more companies adapt to this vertical change, it will be interesting to see how our world of TV, music and social – and their advertising structures – move forward. 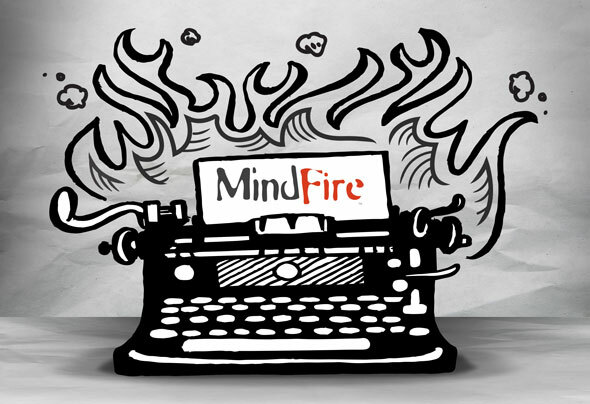 Since we’re shifting into a new era of mobile viewing, MindFire is more than ready to adapt to the times. We’re prepared to determine if your audience fits the trend of mobile viewing and we can help create the perfect content for your target market. Sarah Dixon is a Marketing Arsonist at MindFire. Is Social Media in your 2012 plan? Social media is not a fad. It's a significant shift in how consumers want to interact with companies and brands. A company's participation in social media - or lack of participation - sends a clear message to consumers about their willingness to connect. What kind of New Thinker are you? Have you heard of Hyundai's New Thinkers Index? Building a hot brand is hard work. As you work on fueling the right brand experience, firing up employee engagement and sparking consumer loyalty, it’s possible to lose your way in the smoke cloud.